Throughout history, the dominant narrative of development has been highly dependent on a donor + recipient relationship, and why this has always been this way is another narrative on its own. Chisomo idea wanted more, a way that, liberated and rehumanized people in the process. So, before our partnership with the community of Chinsapo, we observed and learned and heard the people of Chinsapo tell their own story, raw and unfiltered. We inquired and learned some more. We brought our friends to marvel and participate in this divine fortuity crowned in red dirt. We understood and are still striving to understand Chinsapo as a community and its individuals. 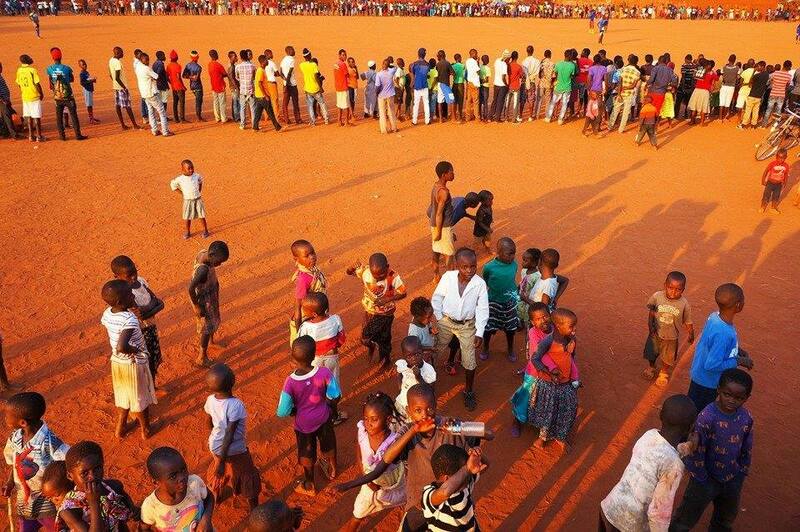 In our immersion we witnessed and found, the resilience of the community in all aspects, the tenacity, the joy, the pain, the football mania that engulfs all, short or tall, big or small and more red dirt everywhere you go. There is no best practice approach in community development, because of the uniqueness of each community that is why our programs vary per community. In all do we aspire to create environments that have a twofold impact (the community and the individual) using participatory methods of development we utilize all that Chinsapo has to offer, creating opportunities to flourish in Academia, Economics, Health and Leadership. To learn more about the communities and individuals that Chisomo Idea supports and to contribute to their success through givingCLICK HERE.